Tonight will be the time when I will turn my clocks back for one hour. Daylight Savings Time ends tonight. So the clocks will be back for an hour. It is funny how the world is divided into different time zones. And it is also curious to meditate on these. Look at China, for example. 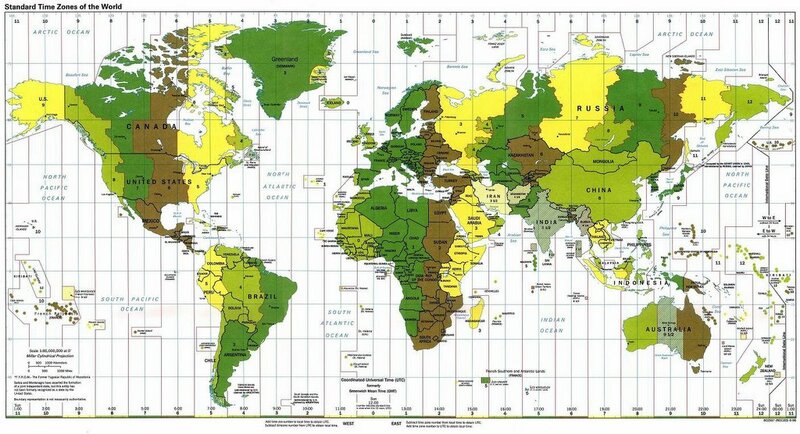 The country only uses one time zone for the whole vast expanse of the country. And if one clicks on the map on the right of this post, one can see that China, who is GMT+8:00, is right next to Pakistan, which is GMT+5:00. I wonder how two people talking across the border about the current time would sound. Pakistani: Hey! What time do you have? Chinese: 9:05 AM! How about you? Pakistani: It's just 6:05 AM here! Chinese: Really? But the sun is no different from my place to your place! Pakistani: Hmm. That's curious. What if I step in your country? Pakistani: (steps into China) Yeah, no change, only my clock. Well, I guess that is one border that is separated by a three-hour time difference. I wonder if there are other cases of time differences across borders that are more than one hour. Speaking of time zones, I don't know what got into me, but I just felt too tired earlier this afternoon. It felt like I was jet-lagged or something. So I took a nap, which turned into a long sleep. I slept from about 3:00 in the afternoon to 6:00 in the evening. I wonder how I am going to sleep tonight. Well, in case I cannot sleep, I have things to do. I have my paper for my Historical Linguistics class already outlined in my head, and my preliminary research for the paper is done. Did I tell you I am doing a comparative reconstruction? Well, I have finished reconstructing the sound system of the proto-language. So far, I have found that this proto-language only has the following sounds: the voiceless and voiced bilabial stops, the voiceless and voiced alveolar stops, the voiceless and voiced velar stops, the voiceless glottal stop, the voiceless alveolar fricative, the voiceless glottal fricative, the palatal lateral, the bilabial nasal, the alveolar nasal, and the velar nasal. In layperson terms, these are the p, b, t, d, k, g, q, s, h, l, m, n, and ng. For the vowels, there are only three; the high-front unrounded vowel, the low-central unrounded vowel, and the high-back rounded vowel. In layperson terms, these are the i, a, and the u. Some languages have had some interesting sound changes, but I don't want to talk about it here. As my officemate noted, some of the discoveries that I have been making aren't published yet. So, like a writer, I would keep silent for now, until I secure my name in the publishing process. If I just say it here, some other scholar might read about it and publish it for himself. Oh how mean of me to think that way. Speaking of publishing, I have a paper to be published, but I don't know what is the status of it. I have submitted it for publishing months ago, but I haven't heard from the institution yet. This is the paper I presented in Taipei last June. I hope everything goes fine with this. Well, that's all for tonight. I better reprogram my clocks. Try Russia - a country so big it takes up almost half a day!